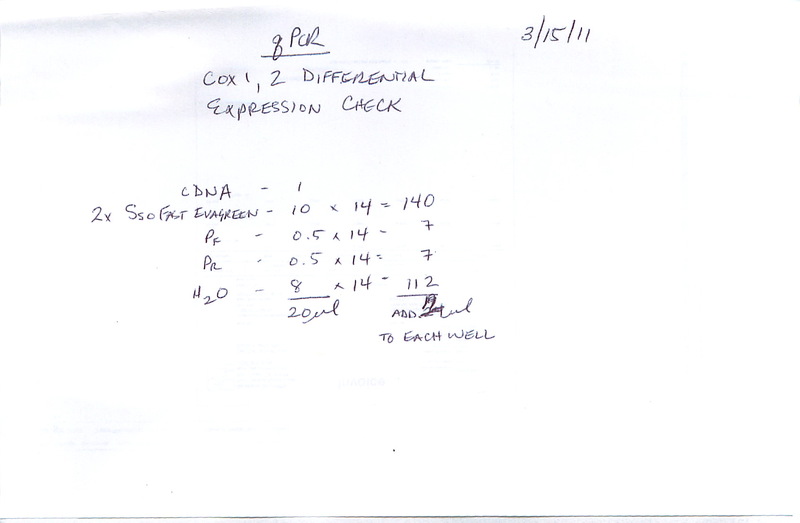 RNA was isolated in 1mL TriReagent, according to protocol. Samples were resuspended in 50uL 0.1% DEPC-H2O and spec’d. RNA was stored @ -80C in “Shellfish RNA Box #4“. All gill RNA looks nearly perfect (based on 260/280 and 260/230 values). Muscle RNA is only OK (based on 260/280 and 260/230 values). This entry was posted in Miscellaneous and tagged Crassostrea gigas, gill, muscle, NanoDrop1000, Pacific oyster, RNA isolation, RNA quantification, TriReagent on 20 January, 2011 by kubu4.